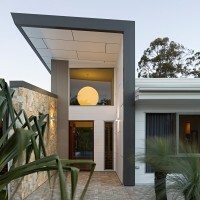 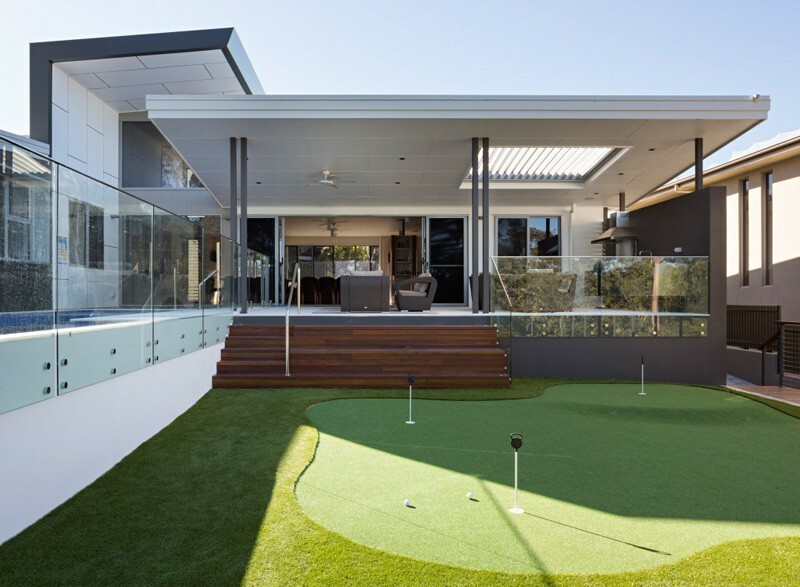 Studio 15b have recently completed the Golf House, a home for a retired couple that looks over a golf course in Brisbane, Australia. 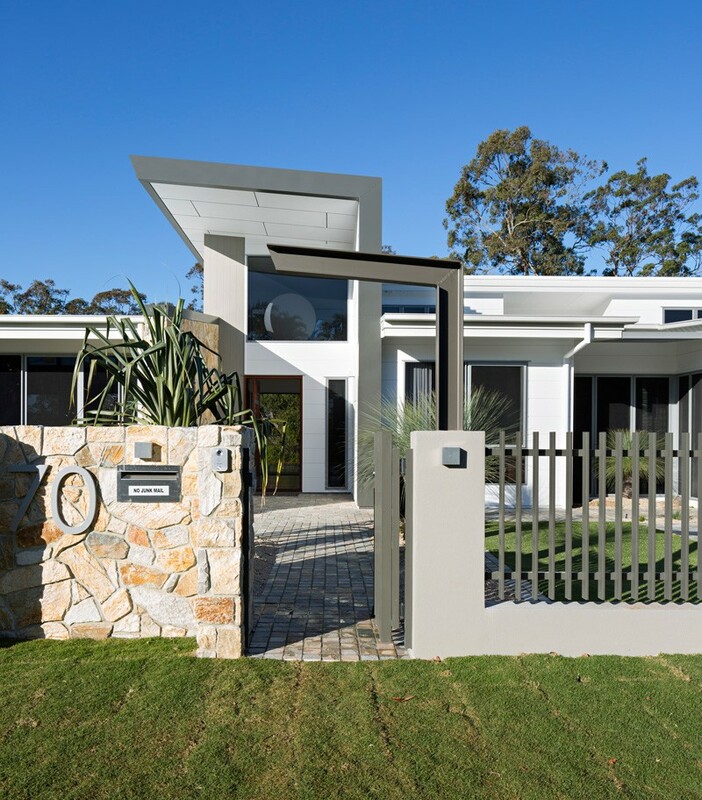 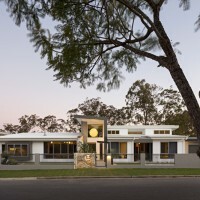 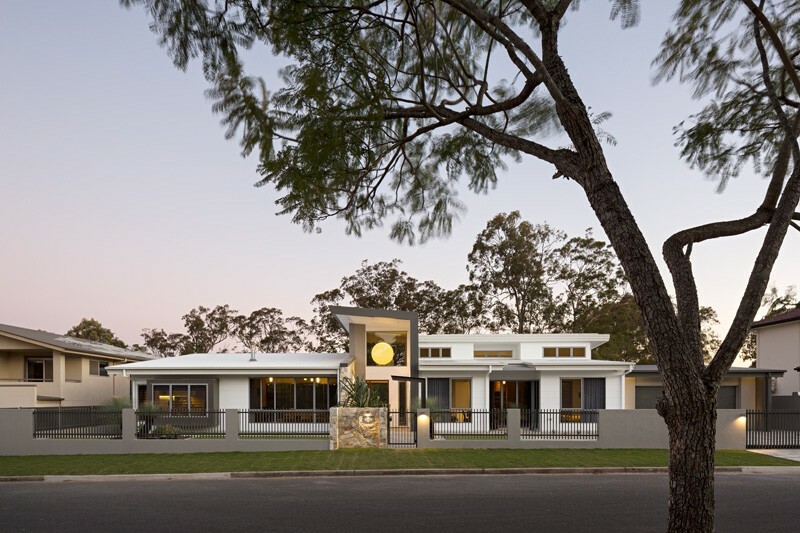 Completed in late 2014, this new home is located within an established residential suburb of Brisbane over looking a beautiful treed golf course. 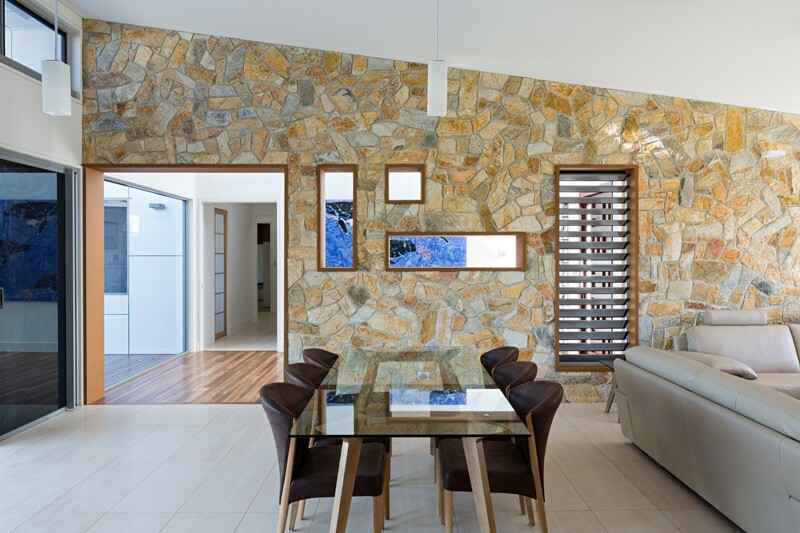 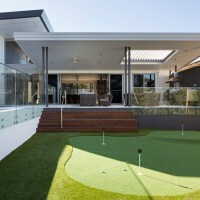 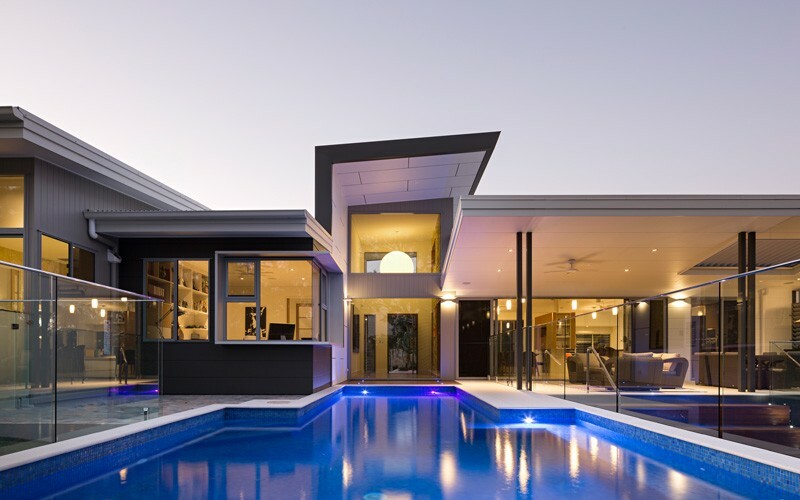 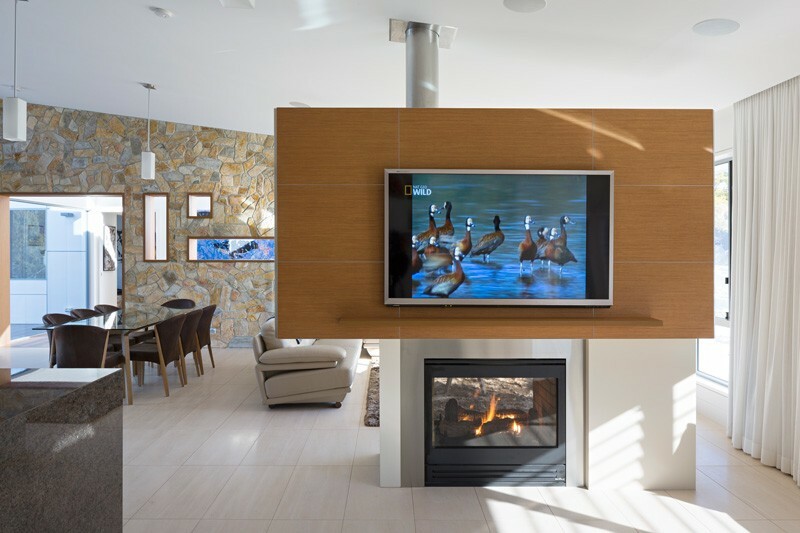 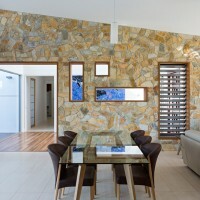 It has been designed for a golf loving, retired couple who like to entertain their large family that visit regularly from Brisbane and abroad. 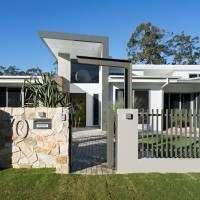 The design aims to take advantage of the golf course outlook beginning from the first moment you step inside the front door. 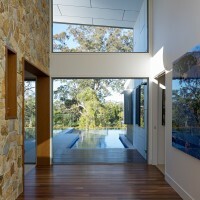 Visitors are welcomed with a view from the entry directly down the centre of the exterior swimming pool and the treed outlook beyond. 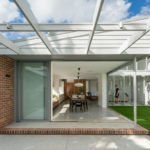 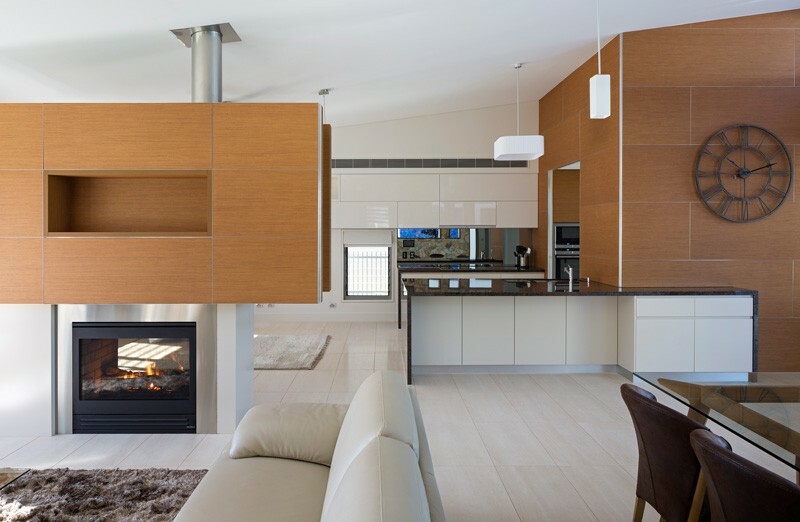 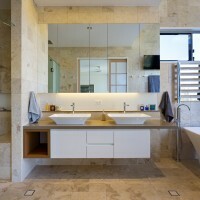 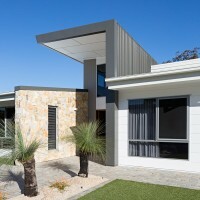 The entry space divides the home between the private spaces such as bedrooms and bathrooms from the public zones of open planned living, dining and kitchen. 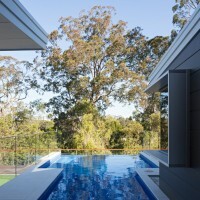 The polished timber floor of the entry also delineates the public and private spaces and continues, following the view, externally to the pool decking. 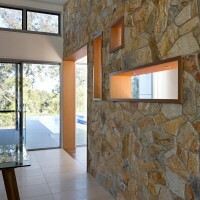 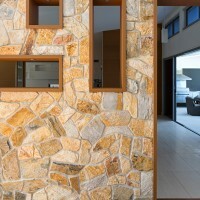 The double volume entry space is flanked by a stone clad blade wall with openings framed in thick reveals of timber veneer. 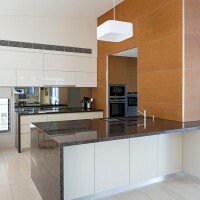 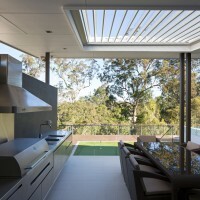 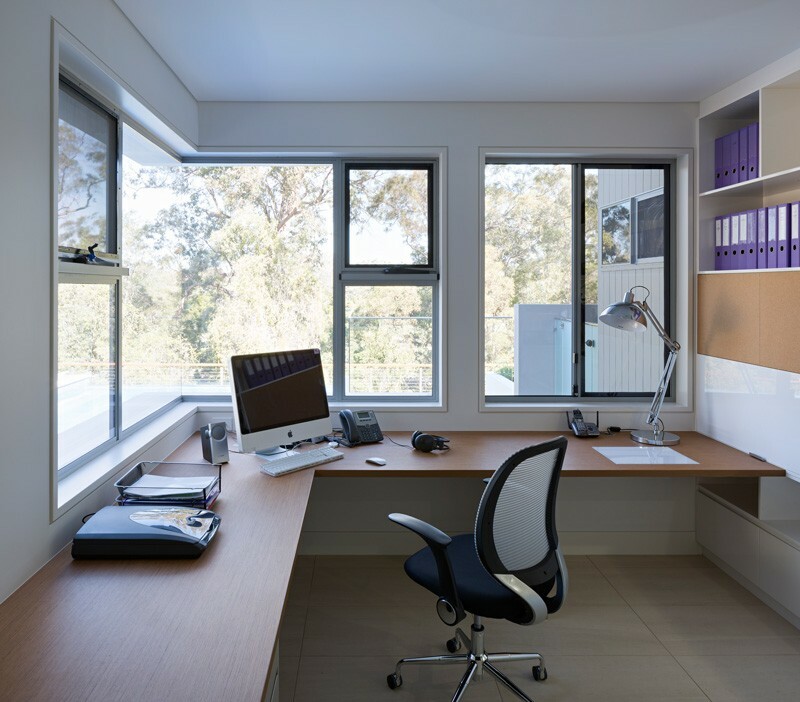 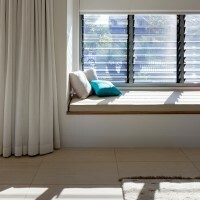 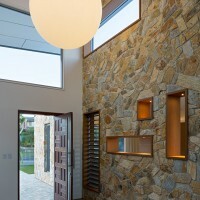 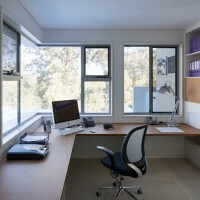 High level glazing ensures it is a natural light filled space. 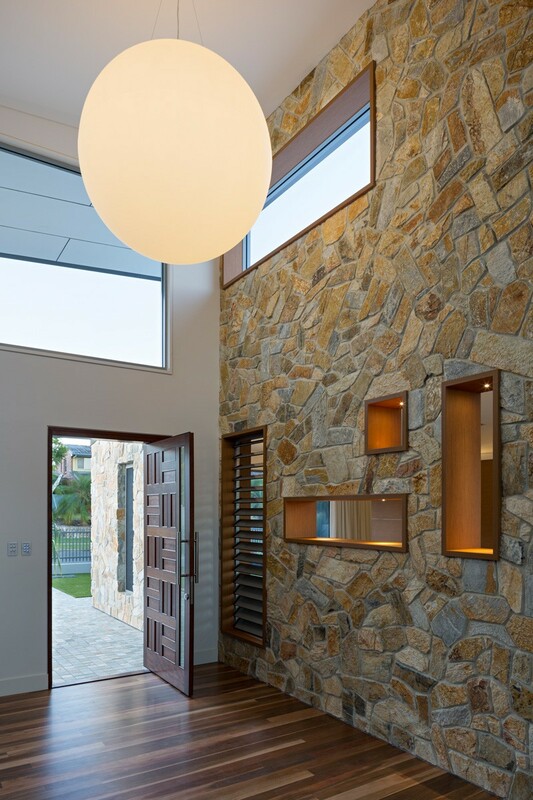 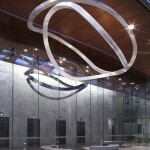 The extra large lighting feature bobs within the void and becomes moon-like at night.